Immortality Has Met Its Match. Ever since the Ring of Fire, the world's vampires have seen their mortality. They won’t live forever after all — not if the angels who created them decide to snuff them like candles. What do the angels want? What did their command to “restore balance” truly mean? For most, the angels’ decrees mean mass murder and mass turnings … but the humans aren’t sheep, and won’t just lie down and take it forever. As Deacon Maurice tries to maintain order with Reginald by his side, panic consumes the Vampire Nation. The center begins to fall apart and chaos grows like cancer. But as war between vampires and humans threatens, Reginald begins to discover strange new abilities within him: to navigate through blood history like no other vampire before him. To glamour those who can’t be glamoured. And seemingly, to stop time itself. Fear has reached its tipping point. War is close. Reginald might hold the key to the angels’ mystery … but whatever could help him intervene just might be too late. 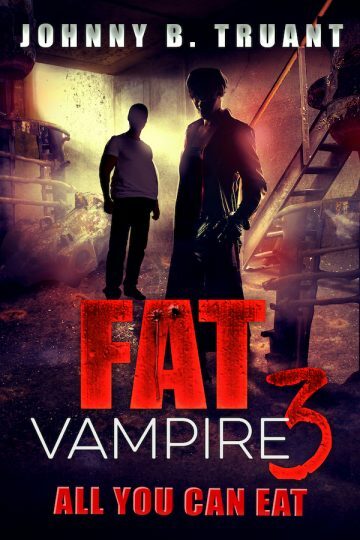 This fresh twist on the tired old undead myth is the third in the Fat Vampire series by Johnny B. Truant — author of many bestselling series including Invasion, The Beam, Unicorn Western, The Dream Engine, Robot Proletariat, and more.